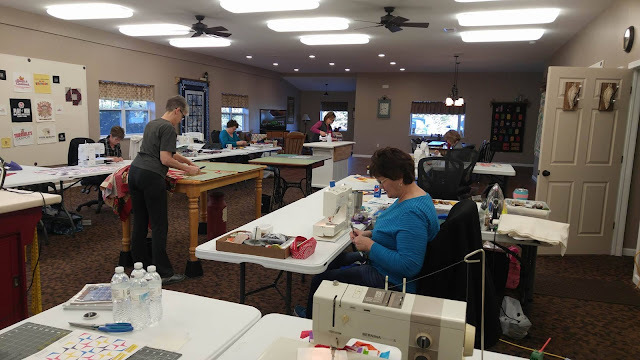 Have you ever been on a sewing retreat? Maybe you get together with your friends to sew? This past weekend I got to do something new to me! 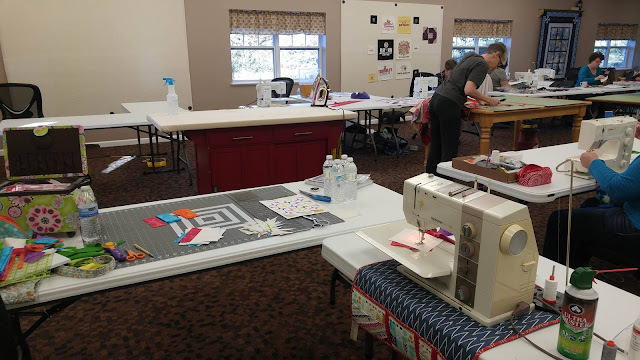 I went to the Sew Cozy Quilt Lodge with eight other quilters to enjoy some uninterrupted sewing time! This was my first time being away from my kids since my oldest was born - almost 4 years ago! 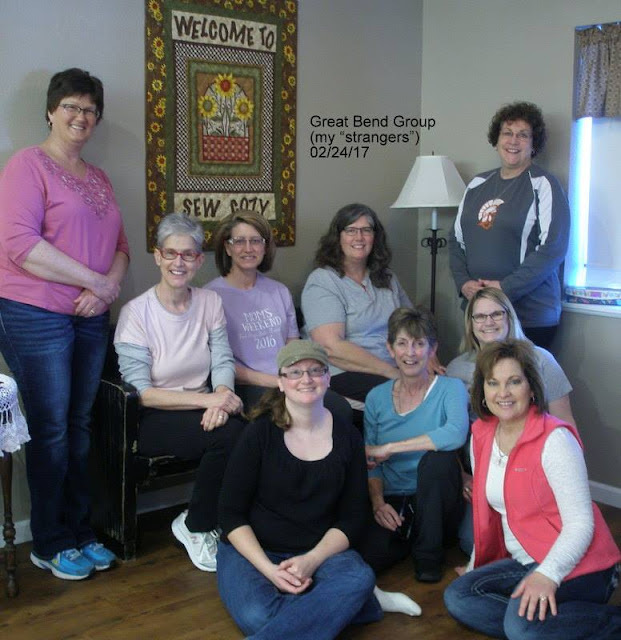 The Sew Cozy Quilt Lodge is a brand new retreat located in Wakefield, Kansas. 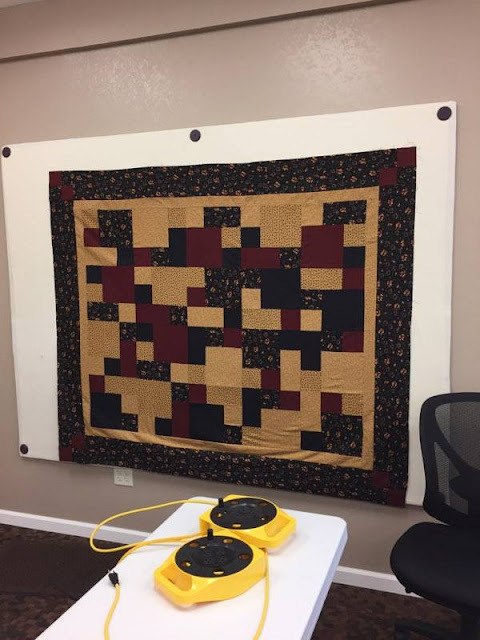 The house was built specifically for quilters by a quilter! Every need, want, and desire you can think of has been taken care of in this retreat house! Each quilter gets two tables with extra plug-ins, an ergonomic adjustable chair, and a design wall. There are cutting and ironing stations to share - both at the perfect height to keep from straining your back. It's designed so you can start sewing as soon as you arrive! 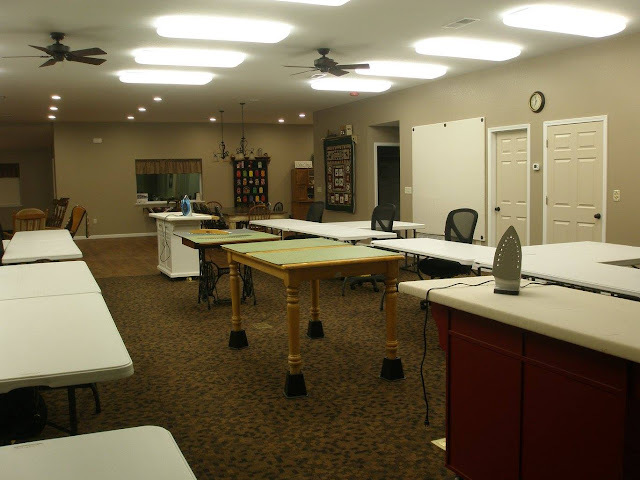 Each bedroom has two beds, and there are three bathrooms to share among all the quilters. The entire house is decorated in excellent taste to make it warm and welcoming. Each room has a different theme, and each bed has a homemade quilt. The house is even handicap accessible. 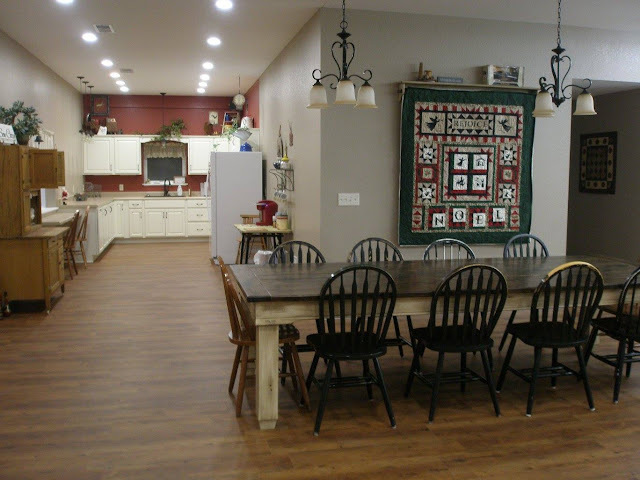 There is a full kitchen and large table for everyone to eat at. There's even a screened-in porch to take full advantage of the scenery. 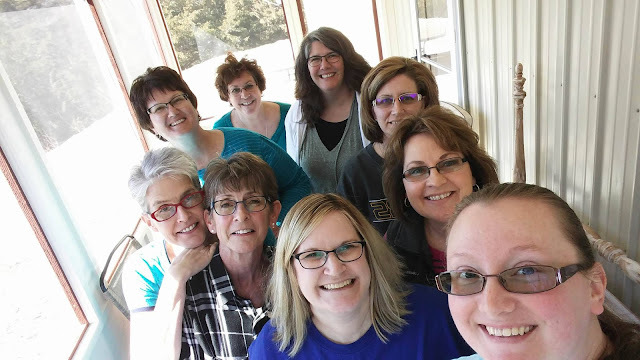 Not only is the house the perfect place for a sewing getaway, but the owner, Lori, is the most warm and friendly person you'll meet! 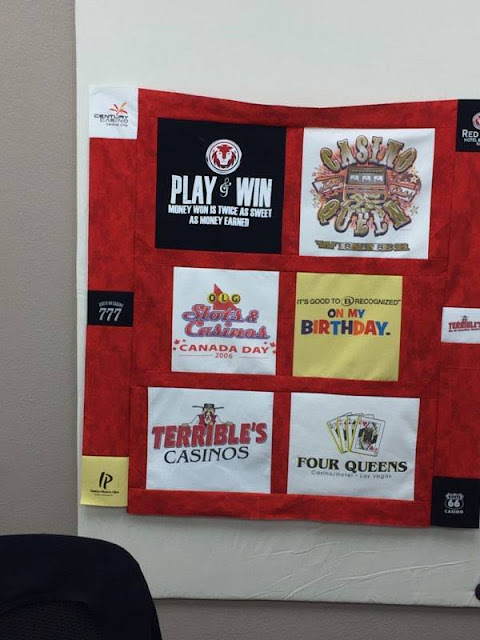 She genuinely wants each quilter to have the best experience possible. I can't say enough great things about her - she's just delightful! 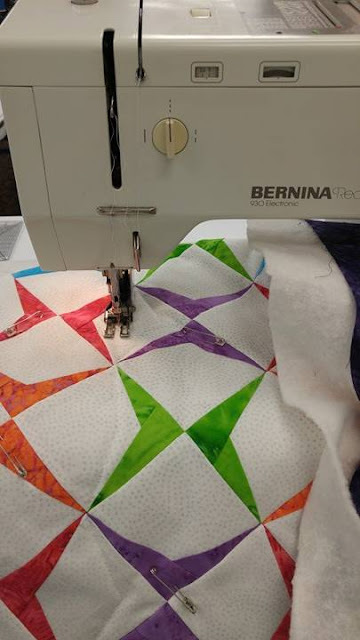 The weekend was quite productive for each quilter in our group. But the laughter and time spent together was just as wonderful! Here are a few sneak peeks of the projects I worked on! Each of these will get their own blog post soon! 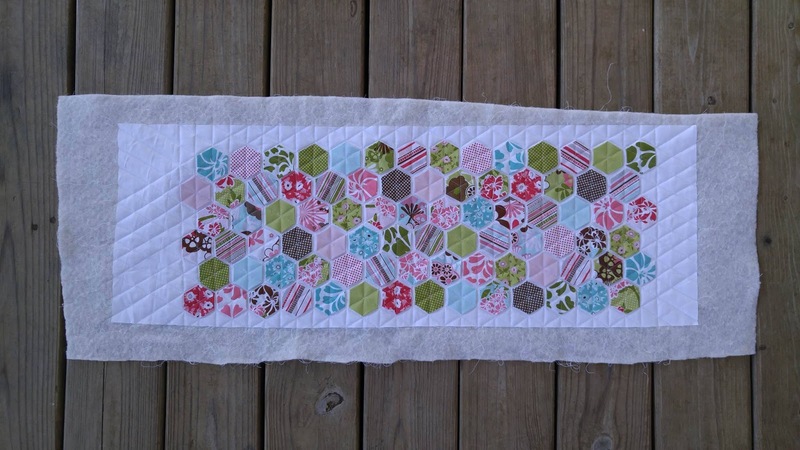 First is a paper-pieced mini quilt with Island Batik fabrics. I actually finished this quilt and will be blogging about it extremely soon! Then I made a springy table topper for ME! I forgot my binding fabric at home, so it will be a fast finish! 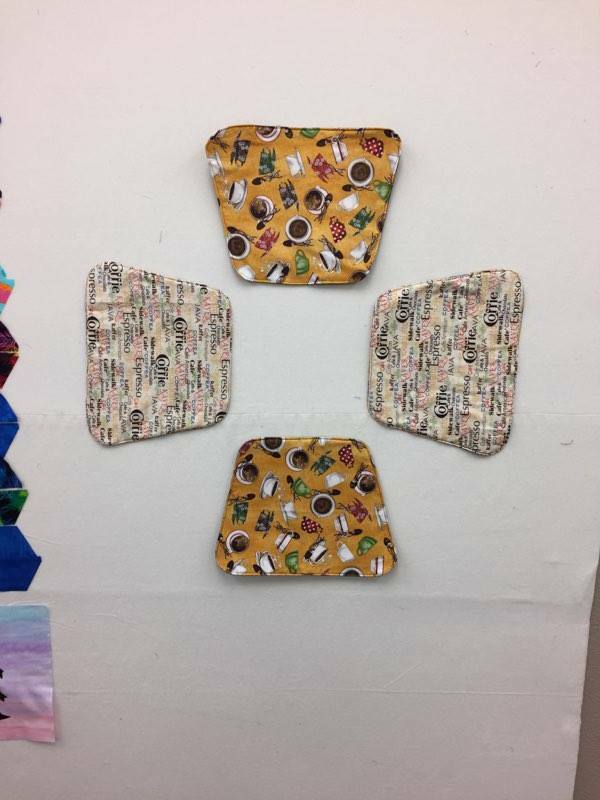 Last, I FINALLY sewed together my ugly tumblers! 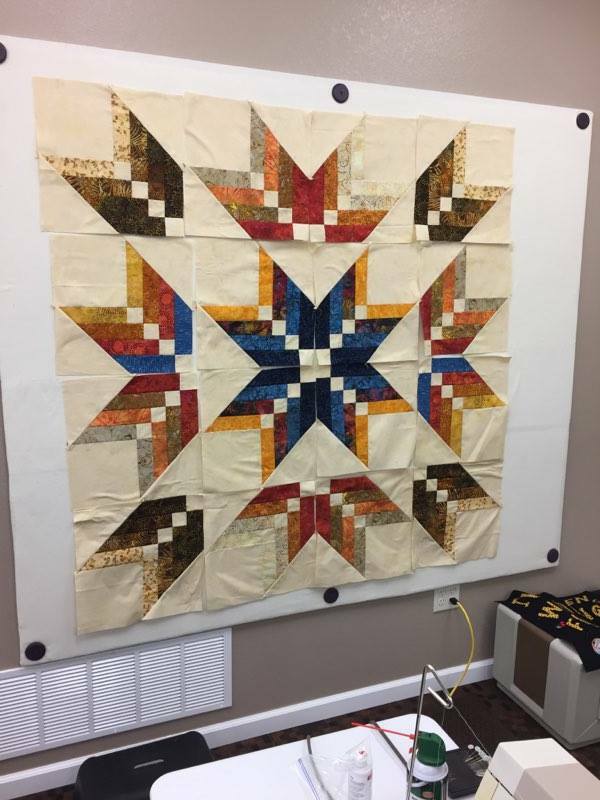 This project has been on my to-do list for years! 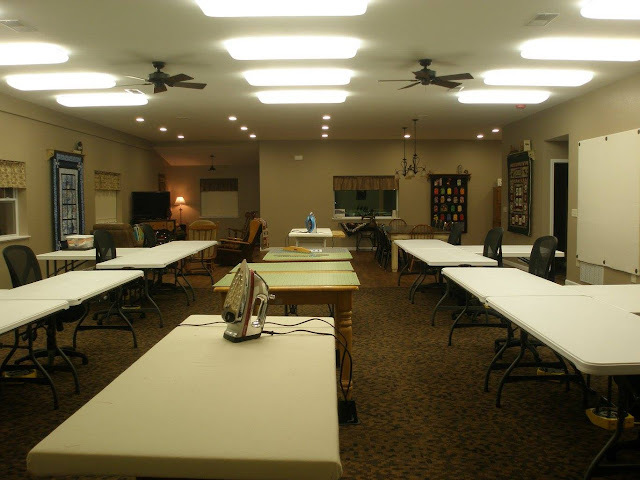 Have you ever been to a sewing retreat? If you're anywhere near Kansas, I can't recommend Sew Cozy enough! Be sure to like their Facebook page and visit their website to read more about it! We've already booked another weekend this summer! This looks so fun! I love your table runner, it is very spring-y!! Your comments made me cry! My dream has been realized through the words and feelings expressed in this blog. Thank you! I came across your blog through 2017 New Quilter Blogs. It looks like you had a fun time. 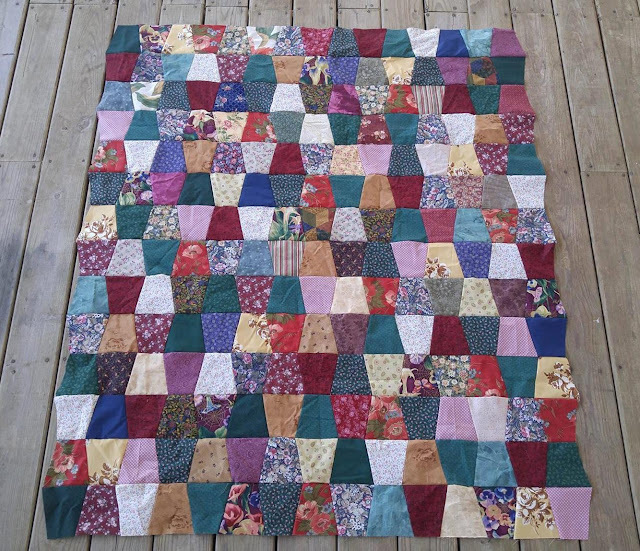 I have talked about doing a quilt retreat for years. You have inspired me to look for something similar a little closer to home. I love all the projects.